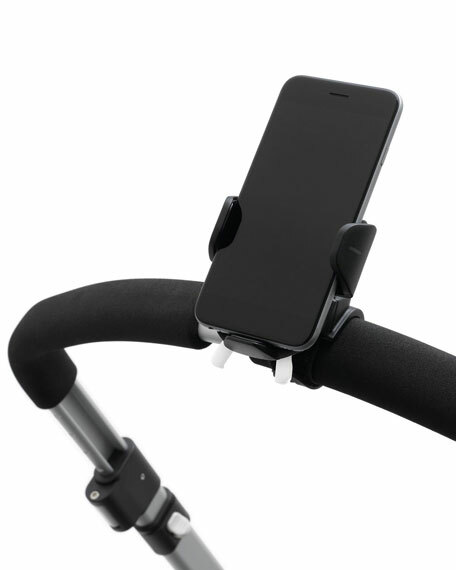 Bugaboo smartphone holder mounts to the handlebar of any Bugaboo stroller (stroller sold separately). 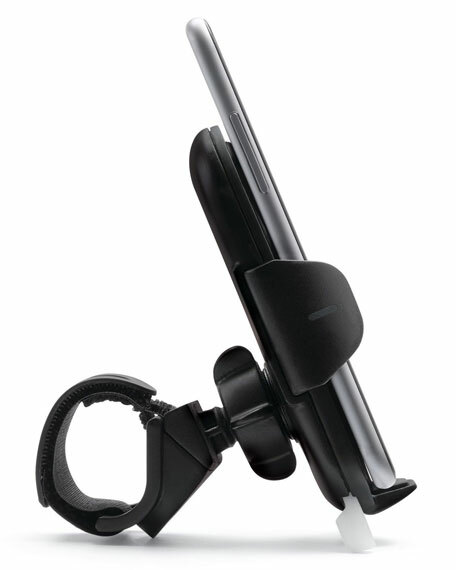 Universally compatible, extendable holder with innovative click & go system. Rubber contact patches for additional safety and protection of your phone. 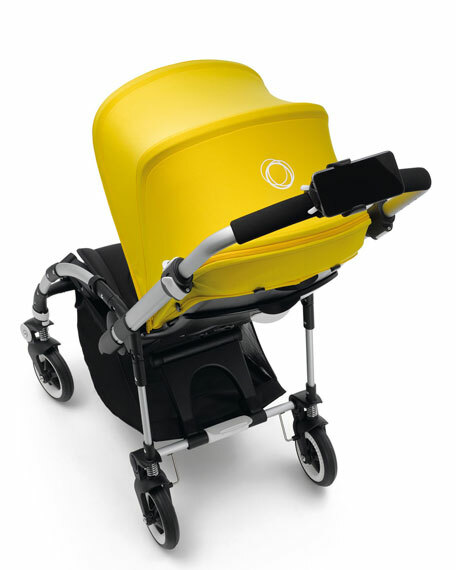 Leave bracket on the handlebar to easily fold your stroller. For both horizontal and vertical smartphone orientation. Ball joint creates optimal 360° rotatable view. Self-standing functionality for use on a desk. 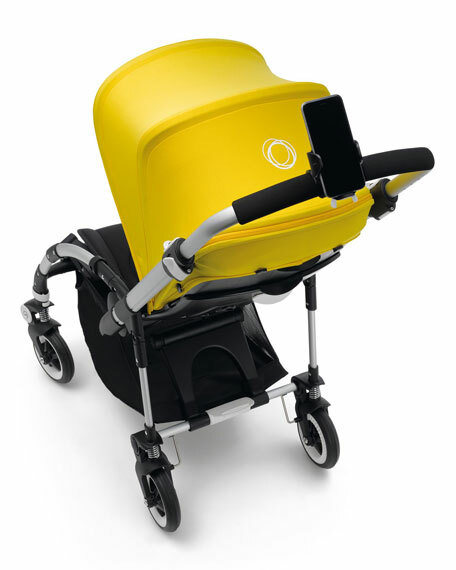 Born from a final project in design school, Bugaboo was launched in 1999 by designer Max Barenbrug and physician Eduard Zanen. Bugaboo is a visionary Dutch stroller company that is constantly innovating with the goal of keeping people mobile  especially the littlest people. The line focuses on integrated functionality and streamlined design.